A partial denture is a removable appliance that replaces missing teeth. It is supported by your existing teeth and will help to regain the esthetics, chewing and speaking function that you require. We will evaluate the health of your remaining teeth, and make you a partial that is custom fit. We offer different types of partials, depending on your esthetic and functional concerns. Dentures come with huge benefits for patients and can greatly improve your quality of life. At Southtowns Dental Services, dentures are made to look natural in appearance and give the impression of a beautiful smile. We use the highest quality teeth and materials in creating your denture. 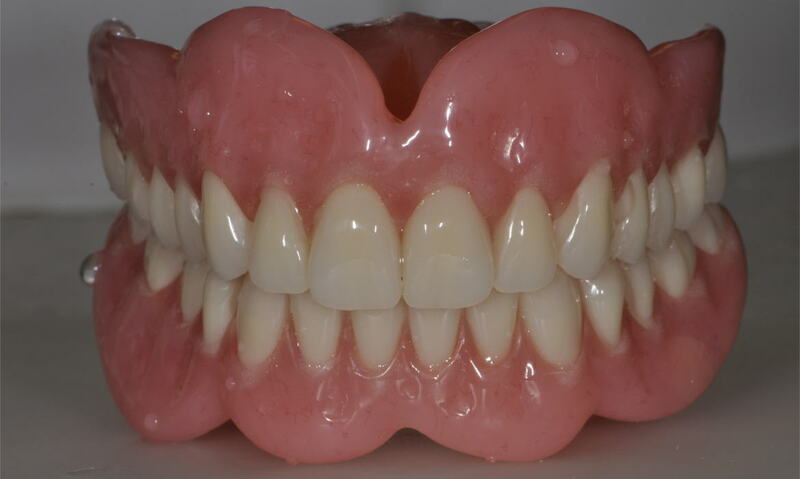 Our doctors have extensive training in custom fitting your denture for the best possible fit. 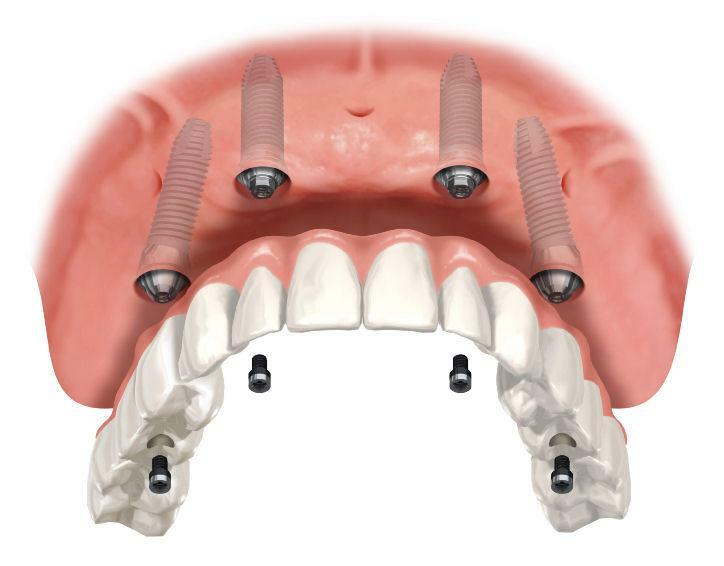 We offer implants to improve the fit and retention of your removable partial or complete denture. 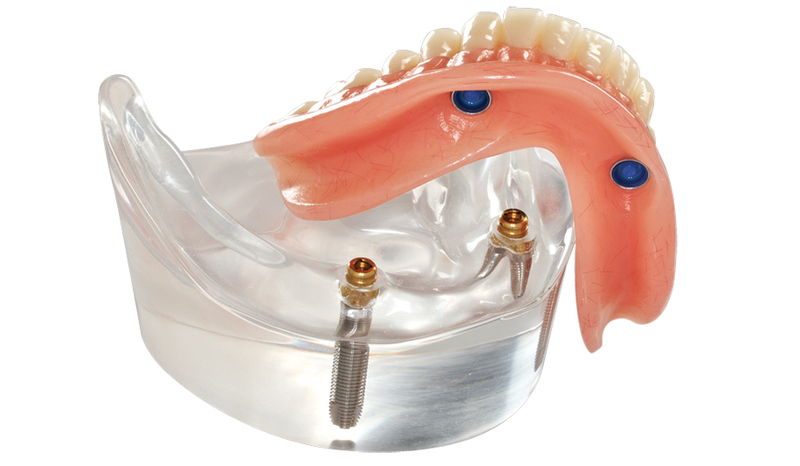 Our most popular and affordable solution is adding 2-4 implants to help retain your lower denture. This reduces the slipping and soreness associated with lower dentures. Implants are commonly added to removable upper dentures and partials as well to help retain them more rigidly and improve their function. If you are missing or about to lose all of your upper or lower teeth and want the most functional, retentive and life like solution to your missing teeth, a hybrid denture is your best option. 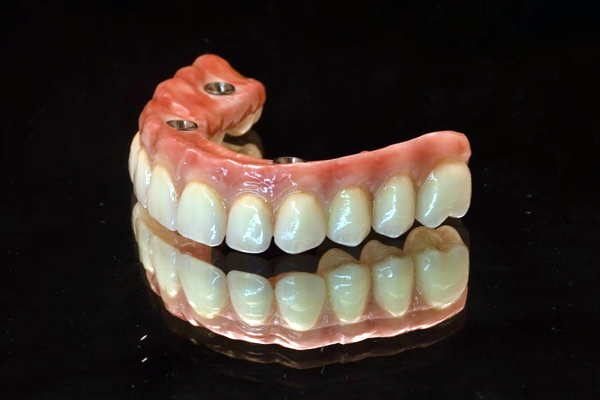 This highly esthetic prosthesis is made with a combination of denture and bridge materials to replace missing teeth, gums and loss of bone around the lost teeth. It is firmly anchored to the jawbone with dental implants. This type of denture can only be removed by a dentist. The result is a new set of teeth that are cosmetic and strong and allow you the use, look and feel of natural teeth.